Most people consider avocados to be healthy since they’re rich in nutrients and healthy fats. Avocados also contain a fair amount of niacin, riboflavin, copper, magnesium, manganese and antioxidants (2, 3). Although avocados are technically a fruit, nutritionally they are often considered to be a source of fat. This is because 77% of the calories in an avocado come from fat (1). Numerous studies have linked oleic acid to health benefits, such as decreased inflammation and a lower risk of developing heart disease (4, 5). These benefits can include increased insulin sensitivity, better blood sugar control and lower levels of “bad” LDL cholesterol (6). One review of 10 studies found that replacing some fats in the diet with avocado could decrease total cholesterol by an average of 18.8 mg/dl, the “bad” LDL cholesterol by 16.5 mg/dl and triglycerides by 27.2 mg/dl (7). Another study compared moderate-fat diets containing either avocados or oils high in oleic acid. The diet containing avocados caused even better changes to blood lipid levels than the diet with oils that were high in oleic acid (8). The avocado diet also decreased “bad” LDL cholesterol by 10% and total cholesterol by 8%. It was also the only diet to decrease the number of LDL particles. And, as if those benefits weren’t enough, avocados contain almost 20 times more fat-soluble phytosterols than other fruits. Phytosterols are plant compounds believed to have positive effects on heart health (3). Foods that are high in fat or fiber can help you feel more full and satisfied after eating. This is partly because fat and fiber slow the release of food from your stomach (9, 10). This causes you to feel full for a longer period of time and can mean you end up going longer between meals, potentially even eating fewer calories overall. Studies have shown that people who eat fruits and vegetables tend to have lower body weights (3). One large observational study examined the nutritional patterns of Americans. Those who ate avocados tended to have healthier diets, a lower risk of metabolic syndrome and a lower body weight than those who didn’t eat avocados (12). Although this doesn’t necessarily mean that avocados caused people to be healthier, it does show that avocados can fit well into a healthy diet. There’s also no reason to believe avocados should be avoided when losing weight. 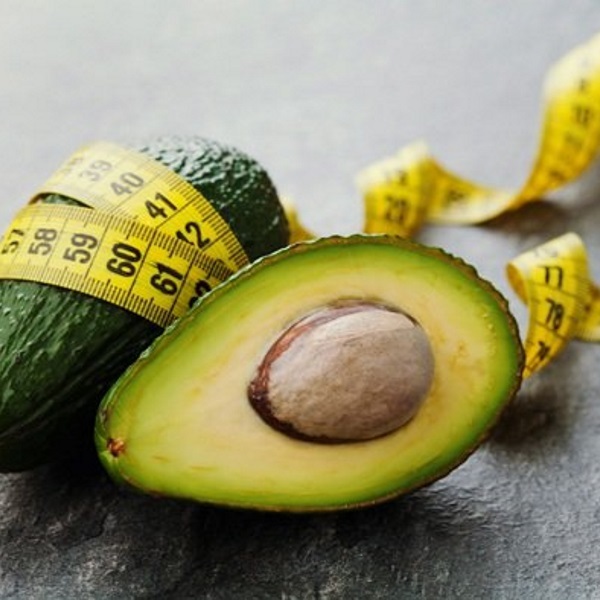 In fact, one study found that when 30 grams of fat from avocados were substituted for 30 grams of any other type of fat, participants lost the same amount of weight (13). One study found that rats fed defatted avocado pulp ate less food and gained less weight than the control group (14). A second study also found that rats fed avocado extract on a high-fat diet gained less body fat (15). Bottom Line: People who eat avocados tend to be healthier and weigh less than people who don’t. Avocados may even help prevent weight gain. So if you’re trying to lose weight, be sure to stick to reasonable portions. One portion is typically considered to be a quarter to a half of an avocado — not the whole thing. And although there’s currently no direct evidence that avocados cause weight loss, there are some reasons to believe they could help.